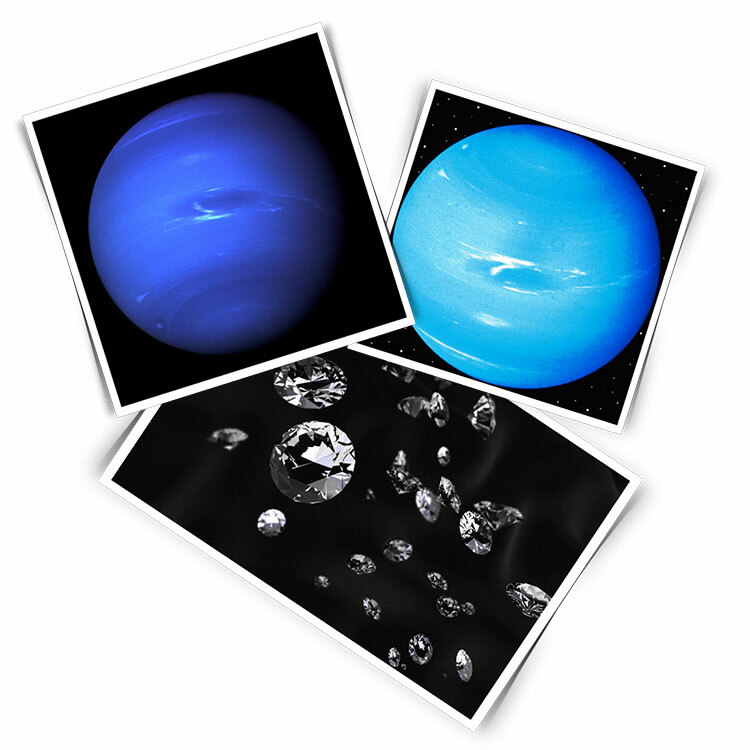 Is It Really Raining Diamonds on Neptune or Uranus? Ever hear the expression – it’s raining cats and dogs? Well, did you ever think that one day it might actually be raining diamonds somewhere in the solar system? Scientists seem to think this is a possibility! Recently featured by The Washington Post, scientists forecast rain storms of solid diamonds on Uranus and Neptune. By now you might be thinking – how can this be? The answer is a little complicated. But that’s why there are highly educated people in this world that study these possibilities. Consider this your daily reminder that the solar system is even more amazing than you realized! The gems form in the hydrocarbon-rich oceans of slush that swath the gas giants’ solid cores. Scientists have long speculated that the extreme pressures in this region might split those molecules into atoms of hydrogen and carbon, the latter of which then crystallize to form diamonds. These diamonds were thought to sink like rain through the ocean until they hit the solid core. But no one could prove that this would really work — until now. In a study published this week in the journal Nature Astrophysics, researchers say they were able to produce this “diamond rain” using fancy plastic and high-powered lasers. Read the whole story – It rains solid diamonds on Uranus and Neptune. Are you engaged and living in Chicago? Are you getting married soon? Then it’s time to shop for wedding bands! This weekend, our wedding band specialist Howard will be at Steve Quick Jewelers’ Clark Street location. He can help you choose the right metal. Decide on the appropriate ring width for your finger. Or answer any questions you have. Stop by! Have a Mayan Wedding on 12-12-12. Now that 2-1-12 has passed, one of the next numerical milestones will be 12-12-12, and all the worry about the end of the Mayan calendar. The question is this – will the world really end before the end of 2012? Or will there be a series of catastrophic events that will illustrate that the end is near for all of modern mankind? Well, if you believe how the media interprets the meaning behind the end of the Mayan calendar, and if you are also thinking about getting married by the time 2012 concludes, now is the time to consider a wedding that truly is once in what may be a very short lifetime. In fact, you probably should think about Belize as the wedding destination of your choice. After all, if something REALLY bad is going to happen, then you may as well go out with style. Or by having the time and wedding of your life! December 2012 will mark the end of the 5,126 year era in the Mayan Calendar. But instead of it being a sign of mortal finality and/or destruction, it probably should be thought of as a time of renewal, rebirth, renaissance and new beginnings. In honor of this historic and spiritual moment, thirty-six adventurous, fortunate and spiritually motivated couples along with two hundred and eighteen of their closest friends and family will partake in the unique Mayan Marriage of Many wedding celebration in Belize. This grand wedding event will be staged on an ancient Maya Temple at the 3200 year old Mayan City of Cahal Pech on December 12, 2012 (that’s 12-12-12). At the same time, in five other exotic resort locations in Ambergris Caye, five additional couples will each hold their own separate full court fairytale wedding nuptials event as well. Package for the group weddings in Cahal Pech range from $14,030 to $24,030 for the Bridal Couple (depending on their chosen hotel and other add-on options) and includes a 5-night Mini-Moon, all receptions, day tours, etc. Packages for guest couples start at $5,030 for December 9-13, 2012, with custom mini-cations also available. While in Belize, brides, grooms and guests will be able to enjoy an exciting choice of activities that the land has to offer including zip lining, Maya massage and other healing, arts medicine trails with Maya shaman, horseback riding, Caracol and other Maya site exploration, bird watching, kayaking, cave tubing, exploring ancient caves with human remains, museums, botanical gardens, a world class zoo, repelling, spelunking, scuba diving or snorkeling around the second largest barrier reef in the world, helicopter tours, mountain biking, yoga and more. For additional information on wedding events, packages and resort accommodations go to www.2012weddingsbelize.com. Authorized Novell wedding band retailer John Greenan & Sons will be holding their First Annual Bridal and Re-Mount Show at their Silver Spring, Maryland location. Taking place on Saturday, March 31st from 9am to 4:30pm, be sure to stop by and see some of Novell’s latest as well as classic wedding band styles. Platinum engagement ring wins Facebook poll. One of Novell’s latest platinum engagement rings was the winner of a recent Brides Facebook Poll (during the week of September 19, 2011). Featured in the new Studio Platinum collection, SE2543-LC-3/4 is a vintage design single row pave platinum engagement ring pictured with a ¾ carat center diamond. 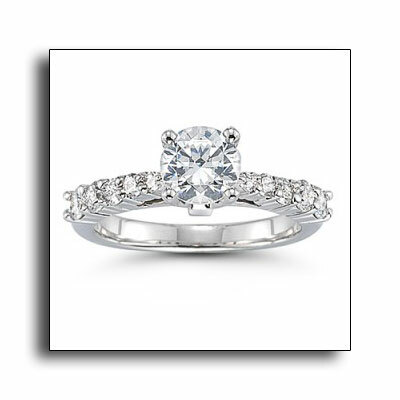 This engagement ring style also has a matching platinum wedding band. All Novell engagement rings can be made in platinum. Please visit www.novelldesignstudio.com to see more. Last year, Novell Design Studio introduced a very unique line of rings created in stainless steel. 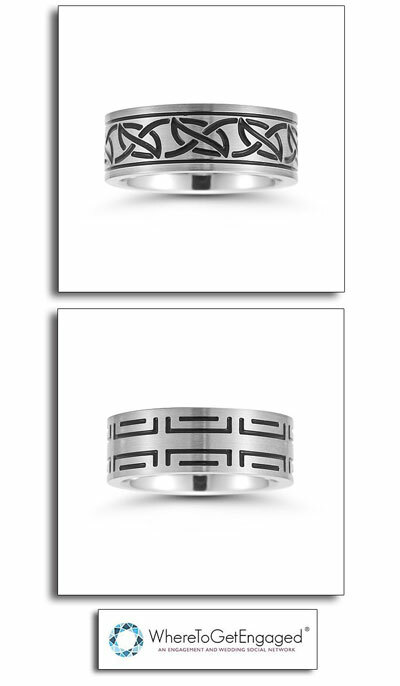 These new ring styles are inspired by actual tattoo and tribal themes, and most can be special ordered in Argentium Sterling Silver, palladium or even platinum – the premium metal used for wedding rings and jewelry. 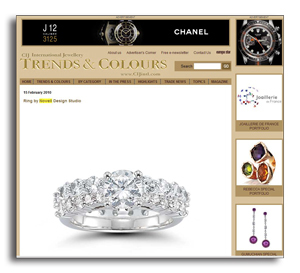 TATU wedding rings are currently being featured on WhereToGetEngaged.com, an innovative wedding planning website. TATU rings are not your father’s wedding ring! TATU is a fashion statement or even a way of life. And since sterling silver TATU rings are affordable, you can have one for literally any day of the week. But if precious metals are your style for jewelry (as it should be), a precious metal TATU ring makes a strong statement! Visit an authorized Novell retailer for more information and pricing. View Novell’s TATU rings on WhereToGetEngaged.com. Or view more rings on Novell’s website. LIKE TATU wedding rings on Facebook. Stamford’s Nagi Jewelers featured on JCK Online. Authorized Novell wedding band retailer Nagi Jewelers was recently interviewed by JCK Online. Nagi Osta, who started working at a seafood restaurant in Florida, suddenly had a vision to become a jeweler. While sometimes ideas like this die as a pipe dream, Nagi followed his heart. Initially he started small, but in 2002, he bought a three-story, 7,500-square-foot building in Stamford, Conn. Know for their famous annual Diamond Dash promotion, Nagi Jewelers is not only a well established family business, but also proof that the American Dream can come true. Read – It’s All Relative: NAGI Jewelers on JCKOnline.com. 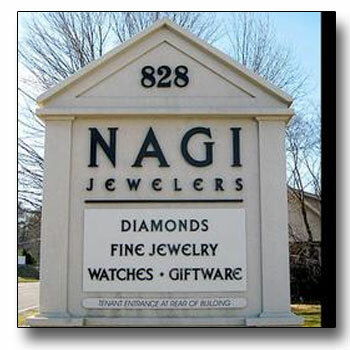 LIKE Nagi Jewelers on Facebook. Tonight only! 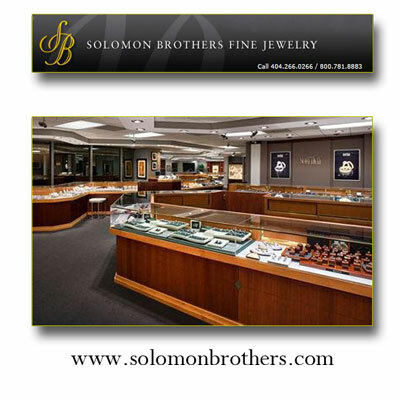 Get a $50 jewelry gift card at Solomon Brothers. Authorized Novell wedding band retailer Solomon Brothers Fine Jewelry (located in Atlanta, GA) is having a great jewelry promotion on Thursday, August 8, 2011. Visit Solomon Brothers Fine Jewelry to receive a $50 gift card that you can apply towards your jewelry purchase of $100 and more! To receive it, just mention you saw this promotion on the Novell website or blog! If you haven’t LIKEd the Solomon Brothers Fine Jewelry Facebook page, then please be so kind and do so. Feel free to help spread the word and join Solomon Brothers Fine Jewelry for this great jewelry deal! And be sure to take a peek at the Novell wedding bands. Get directions to Solomon Brothers Fine Jewelry in Atlanta, GA.
Novell featured in JVC’s Essential Guide to Platinum Jewelry. The Jewelers Vigilance Committee, an organization formed in 1912 to provide education and self-regulation to the jewelry industry, features platinum Novell wedding rings in The Essential Guide to the U.S. Trade in Platinum Jewelry. A trade-oriented publication, this edition of JVC’s Essential Guide explains the Federal Trade Commission’s 2010 amendments to the Platinum Section of the Guides for the Jewelry, Precious Metal and Pewter Industries. It breaks down the revised standards, and clarifies what they mean in practical terms for those who manufacture, promote and sell platinum jewelry. The Novell rings featured are a set of classic hand-engraved platinum wedding bands, and new platinum styles from the TATU collection. The Essential Guide also includes legal standards for platinum, glossary of platinum terms, frequently asked questions and two platinum tolerance charts, explaining how to stamp and describe both traditional products and platinum products containing a minimum 500 ppt platinum alloyed with base metal. The JVC website also has plenty of information and tips aimed at consumers. Download The Essential Guide to the U.S. Trade in Platinum Jewelry. MJSA highlights Novell’s Great American Metal Exchange. MJSA, a leading jewelry industry trade publication, featured news about Novell’s Great American Metal Exchange (GAME) – a special metal trade program designed to put more affordable platinum merchandise into jewelry showcases. The concept behind GAME is simple; qualified retail jewelry stores can trade in unusable precious metals for Novell’s new Studio Platinum bridal-classics collection. It’s a weight exchange with a minimal program fee. Acceptable precious metals for this special opportunity are platinum, gold, and palladium. Is there a better way and time to profit from your under-performing, broken, and damaged merchandise? The GAME is a meticulously planned and executed bridal jewelry stimulus package. It meets the challenges of the hard economy head on! The Great American Metal Exchange. Novell Design Studio in Rahway, New Jersey, is taking a unique approach to getting its line of entry platinum bridal jewelry into retail stores. Novell has developed what it calls the Great American Metal Exchange (GAME). It will offer its Studio Platinum Collection at a significant discount to qualifying retailers (they must be committed to the bridal business), and will take unwanted platinum, palladium, or gold inventory as total or partial payment. Novell’s goal is to stimulate sales of platinum bridal jewelry. Deadline for sending old inventory to Novell is July 1. Learn more about Novell’s GAME here. 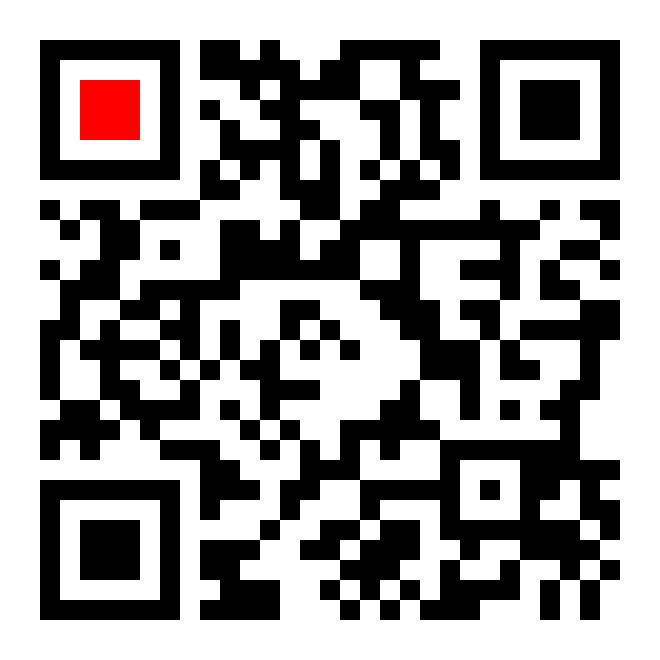 And visit GAME on Facebook. Novell’s GAME has been featured on The Jewelry Weblog, Trans World News, JQIntl.com, The Wedding Ring Blog, Yahoo! 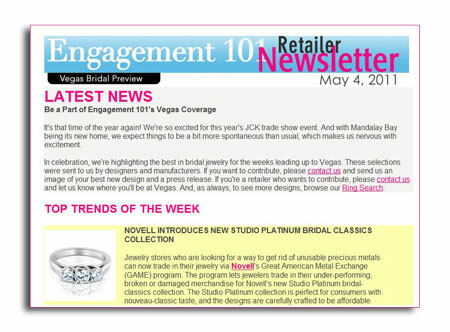 News via PRWeb.com, Your Engagement 101 and InStoreMag.com. Novell’s GAME featured on InStoreMag.com. InStoreMag.com, the official website for leading jewelry trade publication In Store, features Novell’s GAME in their Industry Announcements section. 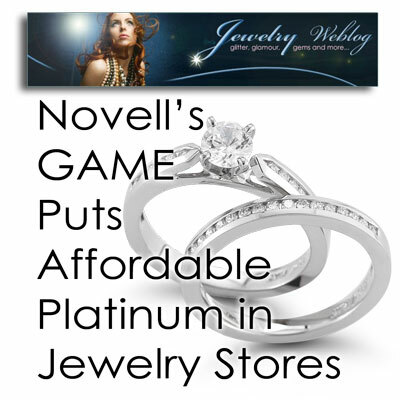 Read more of Novell’s GAME Puts Affordable Platinum in Jewelry Stores. Tapper’s Ultimate Wedding Band Weekend (featuring Novell). Authorized Novell wedding band retailer Tapper’s Diamonds and Fine Jewelry offers you the opportunity to find the wedding band of your dreams! For just two days only, you can find stunning, unique and distinctive wedding bands of all shapes, sizes and prices. Leading jewelry designers will be showing off their latest collections of wedding bands – each backed by the legendary Tapper’s Peace of Mind Guarantee. It’s the perfect place and time to do your wedding band shopping. Be sure to ask Tapper’s about their special financing offer, which is only available during this Ultimate Wedding Band Weekend. 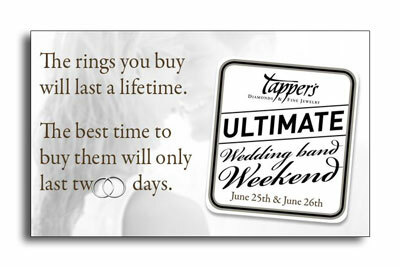 The Ultimate Wedding Band Weekend will be happening on June 25th and June 26th, 2011 at all three Tapper’s locations. Also be sure to visit Tapper’s on Facebook. Jewelry Weblog highlights Novell’s Great American Metal Exchange. Leading online jewelry authority The Jewelry Weblog recently featured Novell’s new initiative to put affordable platinum bridal jewelry into jewelry store showcases – The Great American Metal Exchange (GAME). The premise of GAME is simple; jewelry stores can exchange precious metals from merchandise that is unwanted, broken or just not selling for a platinum engagement ring collection with a substantial retail value. GAME answers questions that many jewelry stores have in a tough economy – what can retailer do with old jewelry that’s not moving? And how can a jeweler actually increase their inventory without spending a lot of money? Read Novell’s GAME Puts Affordable Platinum in Jewelry Stores. GAME has also been featured in Yahoo! News. Kassab Jewelers gives away jewelry on Facebook. Authorized Novell wedding band retailer Kassab Jewelers is giving away a piece of jewelry every week via their Facebook page ALL YEAR LONG! Kassab Jewelers gives you a chance a chance to win jewelry in any of their upcoming drawings, and you can also earn FIVE additional entries for every friend that you refer to their Facebook jewelry giveaway as well. The odds at winning are better than you’ll find in Atlantic City or Las Vegas. 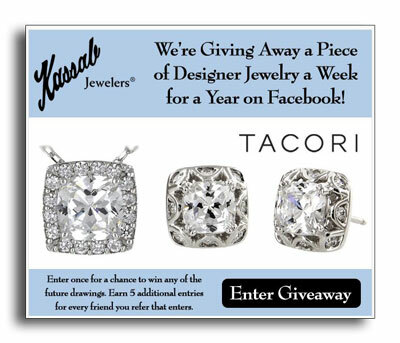 Visit Kassab Jewelers’ Facebook page to enter their jewelry giveaway today. Jewelry Dose Daily features Novell’s GAME. Leading jewelry blog Jewelry Dose Daily features Novell’s latest initiative to put more affordable platinum in fine retail jewelry stores – The Great American Metal Exchange. Read the entire post – Novell Design Studio Announces the Creation of the Great American Metal Exchange (GAME) Program, Making Platinum Jewelry Affordable to Retail Jewelers and their Customers. See Novell at Diamonds Direct in Raleigh. Authorized Novell wedding band retailer Diamonds Direct (Raleigh, North Carolina location) is having their Spring Designer Extravaganza from April 15th through April 17th, 2011! More than a dozen top designers – including Novell – will be showcasing their exception jewelry. In addition to seeing all the latest wedding bands, engagement rings, pendants, bracelets, earrings and just about any jewelry style you can thing of, cocktails and hors d’oeuvres will be provided on Friday night by Fleming’s Steakhouse (from 5pm to 8pm). Freedman Jewelers’ Wedding Band and Engagement Ring Show. The Wedding Season has officially begun! Authorized Novell wedding band retailer Freedman Jewelers of Boston cordially invites you to attend their 9th Annual Wedding Band and Engagement Ring Show. Come browse Freedman Jewelers’ extensive selection of diamond, platinum, gold, palladium and tungsten carbide wedding bands. And of course there will be a beautiful selection of new Novell wedding bands for you to view and try on your finger! Freedman‘s is also offering a $100 discount off any new wedding purchase over $500. This offer is valid until March 26th, 2011. 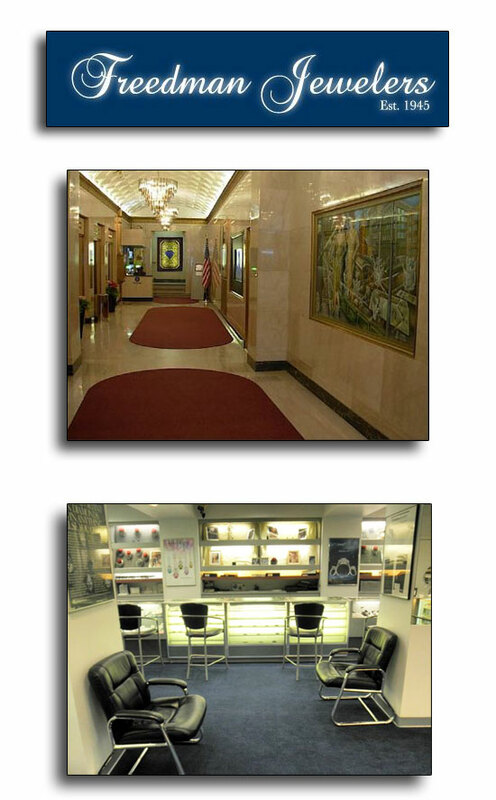 Location – Freedman Jewelers is located at 333 Washington Street (Suite 408) in Boston, Massachusetts. Freedman Jewelers validates parking for the convenient 33 Arch Street Parking Garage. If you have any questions, please call Freedman Jewelers directly at 617-227-4294. Or e-mail them via info@freedmandiamonds.com. You can also visit Freedman Jewelers on Facebook and Twitter. New silver wedding bands at LarsonJewelers.com. 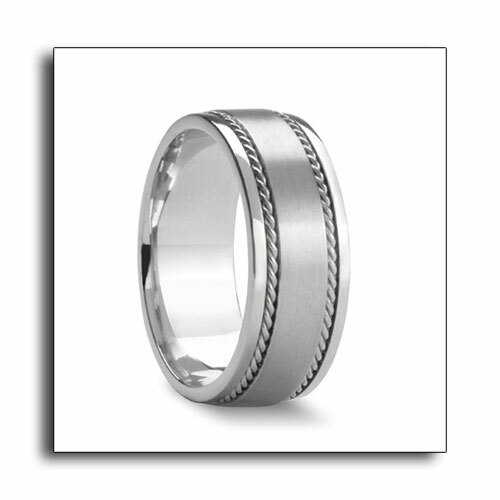 Authorized Novell wedding band retailer LarsonJewelers.com, a leading online source of men’s wedding bands, is proud to announce the introduction of their new silver wedding bands line – and just in time for Valentine’s Day! Their new silver wedding bands collection include some of Novell Design Studio‘s best selling styles, and are an affordable precious metal choice for young couples who don’t have a huge budget for their wedding bands, yet would still like bridal jewelry created from material that has intrinsic value. 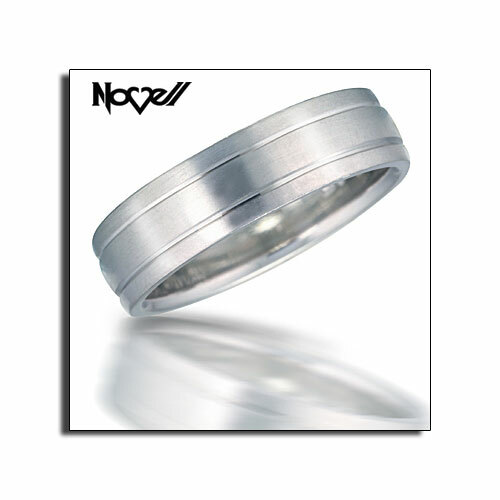 Novell’s silver wedding bands are specially created with Argentium Silver, which is a non-tarnishing silver metal. Traditionally, silver jewelry’s downside has been that it needed to be cleaned frequently as it tarnished easily due to the fact that it is typically alloyed with copper. The Argentium Silver that Novell uses is alloyed with germanium to avoid this tarnishing problem. Read – Larson Jewelers Introduces Silver Wedding Bands Line. And see more Novell wedding bands at LarsonJewelers.com. Platinum proposal featured on The Daily 101 wedding blog. A recent surprise proposal story has been featured on The Daily 101, a wedding planning blog for YourEngagementMag101.com. The gentleman presented his fiancé with a platinum engagement ring by Novell. Read A proposal in Bryant Park. Bay Hill Jewelers holiday jewelry shopping event. ~Purchase 1 piece of jewelry and receive 10% off. ~Purchase 2 pieces of jewelry and receive 20% off. ~Purchase 3 pieces of jewelry and receive 30% off. Please note: This offer excludes custom or special order pieces. Contact Bay Hill Jewelers directly if you have any questions or to be sure that you qualify for this offer. Be sure to mention this special holiday jewelry shopping invitation when you visit, and private appointments are available upon request. Stainless steel ring on Your Engagement 101. The upcoming issue of leading wedding magazine Engagement 101 features one of Novell’s new TATU stainless steel rings on its cover. Designs in the TATU ring collection have been inspired by actual tribal and tattoo themes. Although the featured ring is pictured in stainless steel, TATU ring styles can also be created in platinum, palladium, sterling silver and gold. Innovation and customization are what drive Novell, so that your ring can be made in many different ways – and just for you! For pricing and manufacturing options, please visit an authorized Novell retailer in your area. View more rings in the TATU ring collection. See Novell wedding bands at Boone and Sons Holiday Jewelry Show. Beautiful new jewelry pieces have been added to Boone and Sons’ McLean, Virginia store collection in time for the Holiday Season. Boone and Sons will feature special pricing on nearly every featured jewelry item! 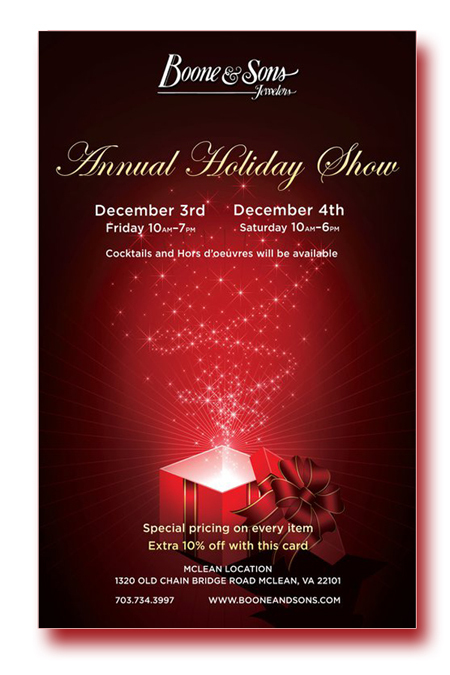 Print their Facebook ad and bring it to Boone and Sons McLean Holiday Show for an extra 10% off! This offer is only valid at the Boone and Sons’ McLean location only. Tappers Steven Tapper blogs about the holidays. 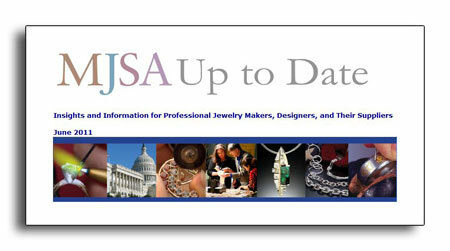 Jewelry industry trade magazine In Store features a guest blogger for Christmas time. Authorized Novell wedding band retailer Steven Tapper of Tapper’s Diamonds and Fine Jewelry (Detroit, Michigan) shares his everyday thoughts on the 2010 holiday season. 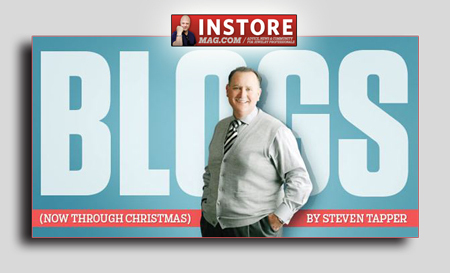 In his first three In Store blogs, Steven talked about feelings associated with the arrival of Thanksgiving Day, motivational techniques for the holiday rush and his plans to celebrate Christmas. 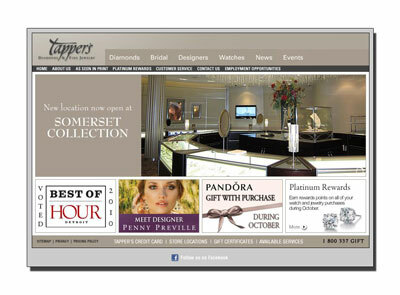 This time of year can be make-or-break for many jewelry stores, and Tapper’s is one of the finest in the nation. Read Watching the World Go Round and Round. Susan Blake jewelry featured on Stacy Knows blog. Stacy Knows, a blog that reports on the latest fashion and beauty findings in the Westchester, New York area, features a new posting about Susan Blake-Lv2BFit, a retail clothing and jewelry store that just opened in Armonk (next to Lilies and Lace). Lv2BFit is the fashion part of the store, while Susan Blake handles the designer jewelry end. 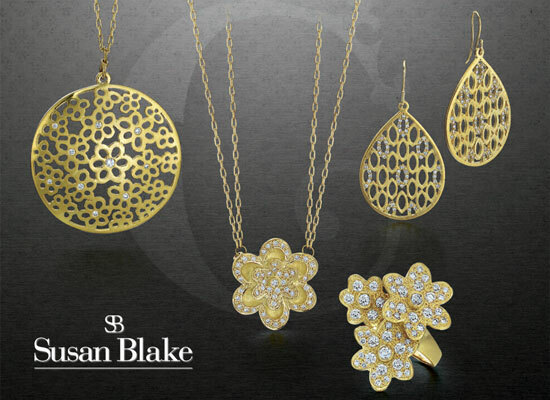 Having been in the jewelry business her entire life, Susan Blake features original fashion jewelry designs fashioned in rich yellow gold, hand-crafted sterling silver and diamond styles and other featured jewelry designers that just happen to be some of her own personal favorites. Read Happy Holidays from Susan Blake and LV2BFit. Find Susan Blake-Lv2BFit on Facebook. Security Jewelers Salvation Army drive at Christmas. Security Jewelers Salvation Army drive. This Thanksgiving weekend, Security Jewelers in Duluth, Minnesota will be partnering with Facebook and the Salvation Army to help ring the bell and fill the Salvation Army kettle. 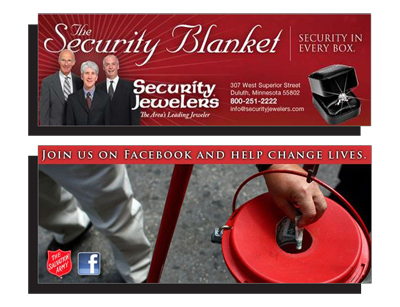 For every new fan Security Jewelers gets on Facebook between Thanksgiving and the end of Cyber Monday, November 29th, Security Jewelers will donate $5 to the Salvation Army and it will not cost you one red cent. Support Security Jewelers’ Salvation Army drive and FRIEND them on Facebook. 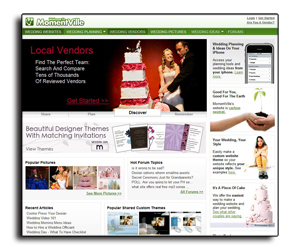 Momentville.com, a free wedding website where couples can create and easily share pages about their upcoming ceremony on Facebook, Twitter and more, features wedding bands and TATU stainless steel rings by Novell. 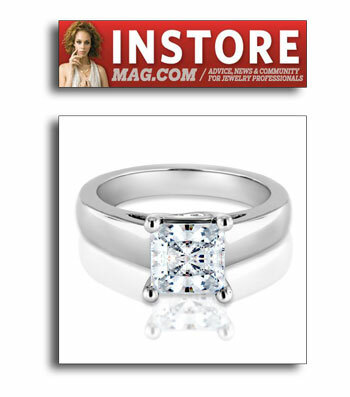 Novell’s Momentville.com profile also includes platinum wedding band styles specially designed to be affordable. Visit Novell’s wedding band portfolio on Momentville.com. 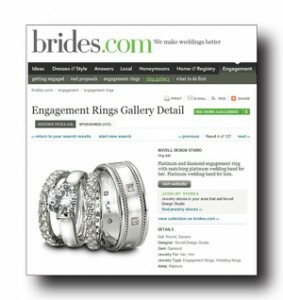 WhereToGetEngaged.com, an up-and-coming bridal web portal, features twenty-two of Novell’s new TATU stainless steel rings. TATU rings are inspired by actual tribal and tattoo themes. They have recently been featured by In Store Magazine, and a dozen where given away to future brides and groom in co-operation with YourEngagement101.com. 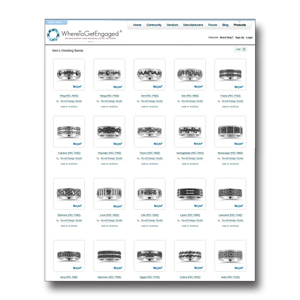 View all twenty-two stainless steel TATU rings. New platinum engagement ring in Facebook poll. 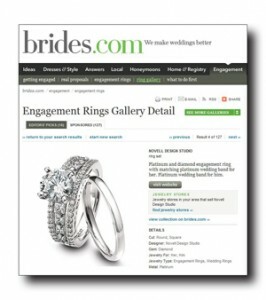 The Facebook page for Brides.com features a poll asking for fans to vote for their favorite platinum engagement ring. Alongside styles by leading platinum bridal jewelry designers Diamond in the Rough, Gumuchian, Phyllis Bergman for Mercury Ring, and Designs by Vatché is a new platinum engagement ring by Novell. To vote, you simply have to LIKE the Brides.com Facebook page, and then scroll down just a bit to participate. Visit the Brides.com Facebook page to vote! 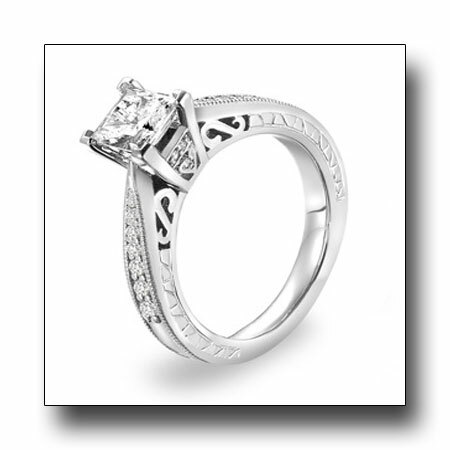 Why choose platinum for your engagement ring? Simply put, platinum is a durable naturally white metal that ages very well. And since platinum’s price point is now very similar to gold (and white gold is not naturally white and turns yellow over time), platinum is worth the investment for engagement rings, wedding rings and jewelry. 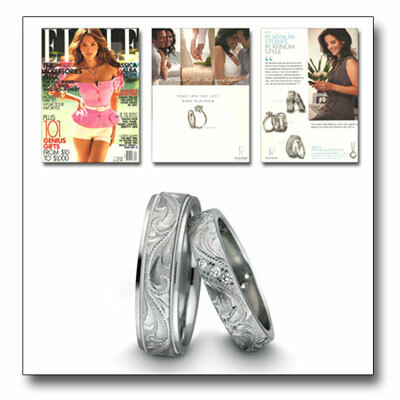 Stainless steel TATU ring featured in jewelry magazine. 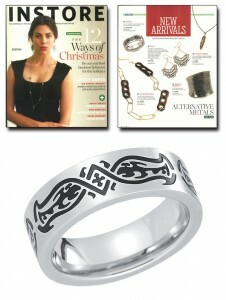 The November 2010 issue of In Store featured new Novell TATU ring design Armour (FEC-717Z) – a stainless steel style inspired by actual tribal tattoo themes. 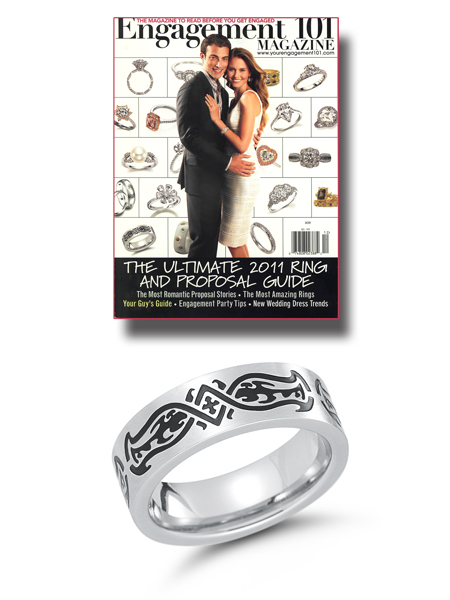 Novell recently introduced TATU stainless steel rings at The 2010 JCK Show in Las Vegas. Select TATU designs are also available in platinum, palladium and even gold, so your choice is almost endless. TATU ring designs are the new wave for rings and jewelry. 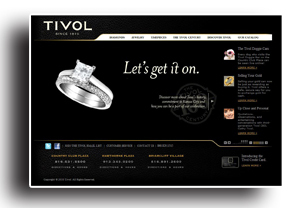 Kansas City jewelry store Tivol adds Novell wedding bands to website. Kansas City jewelry store – and authorized Novell wedding band retailer – Tivol now features Novell wedding bands on their website. Tivol is a relatively new customer that carries a great selection of classic designs and newer wedding band styles. In 1910, Charles Tivol opened a jewelry shop in downtown Kansas City. Perched on a bench, he carefully crafted each piece of jewelry and set a timeless standard for enduring workmanship and style.Charles also handed down his unrelenting passion for quality. His son Harold began working in the store as a boy and now serves as chairman of the company. Under Harold’s leadership, a second store was opened in 1951 on the Country Club Plaza. Soon, it was outselling the downtown store, and the two later merged. Nearly a century after its doors opened, Tivol‘s tradition continues with its third generation. Under the leadership of Harold’s daughter Cathy, Tivol has continued to flourish. A second location was opened in 1994 in Johnson County’s Hawthorne Plaza. Tivol added a third location in 2006 at Briarcliff Village in the heart of the Northland. Now that the business has attained the 100-year mark, Tivol is going stronger than ever, maintaining our tradition of offering the world’s most beautiful jewelry and timepieces in a variety of price ranges. Cute fact – Every dog who visits the Tivol Doggie Bar on the Country Club Plaza can be seen live online! See Spot. See Spot run. See Spot online via the Tivol Doggie Cam. iPod Touch and Tungsten Wedding Bands Giveaway. LarsonJewelers.com wants to rock your holiday with cool things to win! Everyone loves a contest and giveaway. LarsonJewelers.com, a leading online wedding band retailer, is having a contest and giving away a free iPod Touch and a pair of tungsten wedding bands. It’s a great prize package for this holiday season, and the winner can rest easily knowing they have their spouse’s holiday gift covered while rocking out to some tunes! 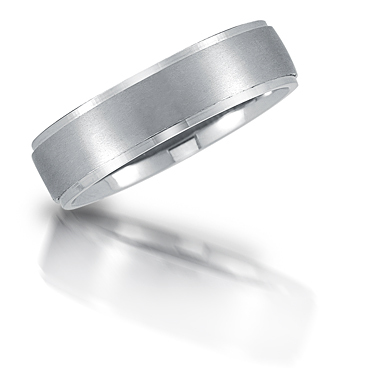 Tungsten is a very popular alternative metal choice for wedding bands. From November 9 to December 9, 2010, everyone gets up to six (that’s right – SIX) chances to win with a variety of online social media methods. Comment on the related LarsonJewelers.com blog post and let LarsonJewelers.com know how you entered. A randomly drawn winner will be selected on December 10th, 2010. •You get one entry for filling-out the form on the iPod Touch and tungsten wedding bands giveaway page. •Your name will get three entries for sharing the Larson Jewelers Giveaway Contest on your blog. As a bonus, if you email a 125 by 125 ad featuring your blog to LarsonJewelers.com, they will showcase it on this contest page. HTML codes are available on the iPod Touch and tungsten wedding bands giveaway page with two size options, making it easy to promote the contest on your Facebook page or blog. Enter to win a free iPod Touch and a pair of tungsten wedding bands. 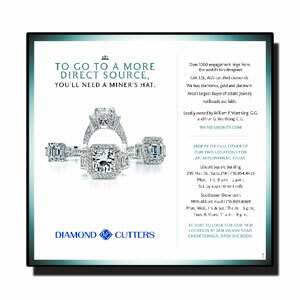 See Novell wedding bands at Diamond Cutters bridal event. Diamond Cutters of Western New York. Authorized Novell wedding band retailer Diamond Cutters of Western New York will be holding a special bridal event on Friday, November 5th and Saturday, November 6th. 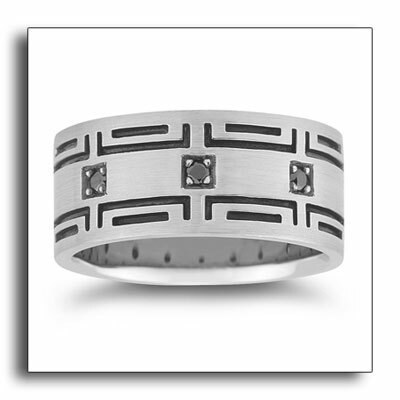 See some of the latest Novell wedding band designs. New palladium wedding band with black diamonds. Palladium is the better choice over white gold if platinum is just not an option due to its price. But keep in mind that platinum is the premium metal for wedding bands and jewelry. The L1987-7GC is palladium wedding band that is 7mm wide and features approximately 1/2 ctw of black diamonds. 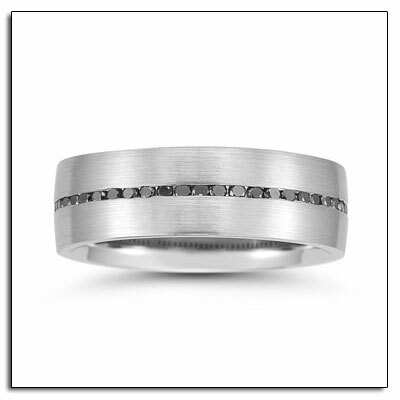 Novell can customize our designs to your specifications, so that your wedding band will be one of a kind. Exactly the way you want it. Wider. Narrower. In platinum, palladium, 5 kinds of gold, and more. For additional information and pricing, please visit an authorized retailer. Visit the Novell News section to keep up to date with everything that is new with Novell. Novell wedding bands at Tapper’s bridal events. Novell wedding band retailer Tapper’s Diamonds and Fine Jewelry will feature Novell wedding bands at their upcoming bridal events the weekend of November 6th. This event will be held at all three Tapper’s Diamonds and Fine Jewelry locations. Get directions to all locations. Tapper’s Diamonds and Fine Jewelry provides a luxury shopping experience with unparalleled customer service to all of their guests. As a multi-generation family-owned business, Tapper’s Diamonds and Fine Jewelry brings a long term perspective to all their relationships which are driven by honesty, accountability, community involvement and excellence. They are committed to delivering on this promise every day. Visit Tapper’s Diamonds and Fine Jewelry online. Visit Tapper’s Diamonds and Fine Jewelry on Facebook.com. Bridal events at Diamonds Direct USA in November and December. Authorized Novell wedding band retailer Diamonds Direct USA will be featuring Novell wedding bands at the upcoming bridal events to be held at all of their locations. 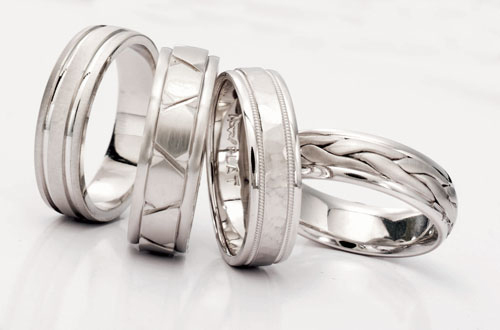 Be sure to ask about how Novell can make your wedding band wider, narrower, in different metals (platinum, palladium or gold), with different finishes and more. With Novell and Diamonds Direct USA, you don’t always just have to settle for what you see in the jewelry showcase! In 1995, Diamonds Direct USA was founded on a philosophy that included setting the standard of quality, excellence, value, selection and education within the jewelry industry. As a direct diamond importer from their Israeli-based cutting facility, Diamonds Direct offers one of the largest selections of GIA and EGL certified diamonds in the Southeast. Diamonds Direct’s selection of loose diamonds are complimented by an extensive collection of designer engagement rings, wedding bands, diamond fashion jewelry, and beautiful sapphire, ruby, emerald, and pearl jewelry as well. Regardless if you are looking for a one carat solitaire or a five carat fancy yellow diamond, the most prominent jeweler in North Carolina and Alabama is Diamonds Direct. 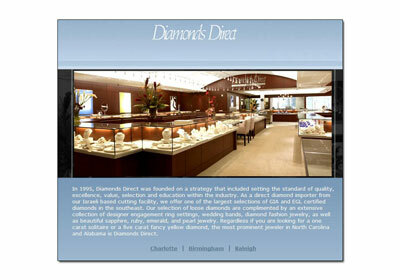 Visit the Diamonds Direct USA jewelry website. See Novell wedding bands in Austin at Calvin’s Fine Jewelry. Austin’s own Calvin’s Fine Jewelry is proud to have an experienced team of jewelry sales professionals, including a GIA graduate gemologist, on its jewelry store staff. Calvin’s Fine Jewelry always works as a team to ensure excellent customer service and satisfaction, and each member of their staff is happy to answer your questions and be your personal shopper to help you find the perfect piece of jewelry. 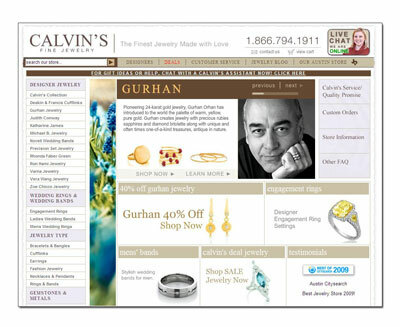 View Novell wedding bands on Calvin’s Fine Jewelry website. Join Adolf Jewelers this week for a special Pandora event. Richmond Virginia’s Adolf Jewelers (an authorized Novell wedding band retailer) is having a special event celebrating Pandora jewelry. From September 23rd-September 25th, 2010, if you spend $150 on Pandora jewelry, then you will receive a FREE sterling silver clasp bracelet which has a retail value of $55. But hurry, this promotion is only for a limited time and while supplies last! And since you are at the store, be sure to browse Adolf Jeweler’s featured jewelry designers. Christmas is just around the corner! The Diamond Guy and Dr. Mehaffey discuss tungsten and cobalt wedding bands. Fred Cuellar, The Diamond Guy®, and Dr. Mark Mehaffey of St. Luke’s Episcopal Hospital (in Houston, Texas) discuss the truth about removing wedding bands in an emergency room situation. Wedding bands created with gold, platinum, palladium, silver, titanium, or stainless steel can all be removed fairly quickly with a diamond-tipped cutting saw. However, wedding bands made in cobalt and tungsten are a little tricky. A cobalt wedding band has to be cut in two areas to be removed, while tungsten is literally shattered with vice grip pliers. View Dangerous Metals: The Truth About Tungsten and Cobalt Unveiled. The Jewelry Book Spring 2010 issue online now. View the latest online issue of The Jewelry Book in an interactive Flash format or as a PDF download. Previous digital editions have been viewed over 10,000 times combined, so be sure NOT to miss the latest issue! • M. Lemp Jewelers – We aren’t in the jewelry business. We are in the business of love. • Made in America – A new way to think about Made in America. Featuring bracelets by designer Susan Sadler. • Red Carpet Revelations – Research demonstrates and marketers agree that consumer spending habits are definitely influenced by what celebrities wear. This year’s red carpet gave them plenty of variety to choose from. • Charles Krypell “On The Cover” – Jewelry designer Charles Krypell reinvents jewelry time and time again. • Giving Back – Louis Anthony Jewelers of Pittsburg is a true star in the community. • Season to Season – Platinum rings for $500? You better believe it! • Slowly Rebounding Jewelry Market – Beware the fast changing landscape in the mature, slowly rebounding fine jewelry market. • Trends and Views – Highlighting two new jewelry collections from John Apel, and JB Star’s innovative mobile applications. Alex Sepkus, Charles Krypell, Christopher Designs, De Hago, Gem Platinum, Jack Abraham, Jack Kelege, JB Star, Jeffrey Bilgore , John Apel, John Buechner, Katharine James, Louis Anthony Jewelers, M Lemp Jewelers, Makur Designs, Novell Wedding Bands, Precision Set, Quadamas Asscher Cut, Rudolf Friedmann, Supreme Jewelry and Susan Sadler. Visit The Jewelry Book website. NJ Brides – enter the Roman Jewelers Wedding contest. Roman Jewelers, Bridgewater, New Jersey’s finest retail jewelry store, invites future brides and grooms to enter to win The Roman Jewelers Wedding – a one of a kind luxury wedding given away to the one deserving couple who has best accomplished a Good Deed for charity. Ten finalist couples will be chosen to test their philanthropic strength in a competition where everyone wins. The grand prize? Everything a loving couple needs to make a fantasy wedding dream come true. Tell Roman Jewelers your compelling love story at The Roman Jewelers Wedding Auditions on July 17th, 2010 at The Villa at Mountain Lakes, New Jersey. And if you wow Roman Jewelers with your story, you might be one of the twenty semi-finalist couples. 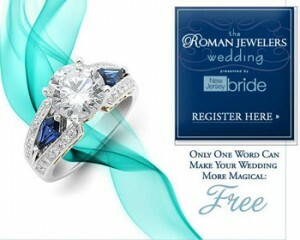 Register for The Roman Jewelers Wedding contest.